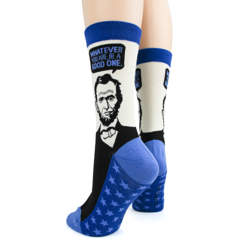 Abe Lincoln was a man of wisdom, leadership, and a president extraordinaire. He is known for many words of inspiration, but we like this one: "Whatever you are, be a good one." 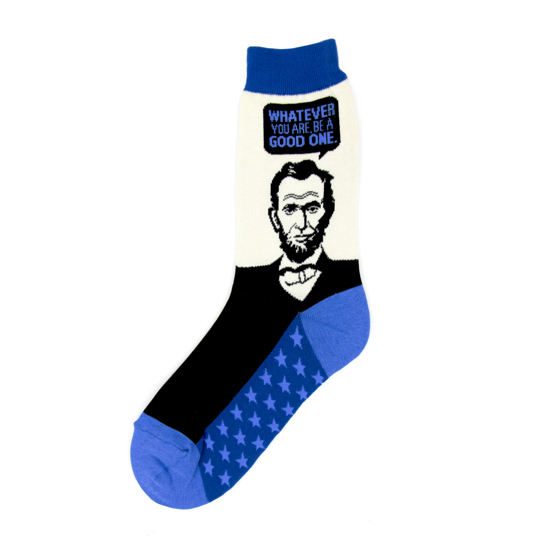 We think it works for anyone as a reminder to be the best you can be. 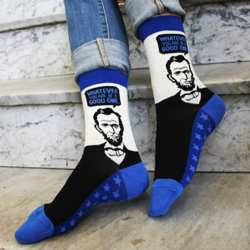 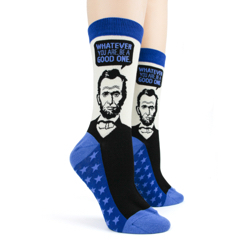 These socks make a great gift for anyone starting a new adventure or for personal inspiration.